They're honoring America's heroes with doughnuts, burgers, steak and more. In honor of Veterans Day on Nov. 11, big chain restaurants across the U.S. are offering up loads of deals for the people who have served or are currently serving the country. Unlike other holidays, most of the deals don't require veterans and active duty military personnel to buy anything in order to get a free meal. All they have to do is present proof of military service by showing their server a permanent or temporary U.S. military identification card or a veterans card. Here are eight restaurants that are dishing out free meals to America's heroes on Veterans Day. The chain's giving away free full-size entrees as a thank you. These are the choices: Classic Bacon Cheeseburgers, 6 oz. USDA Select Top Sirloin, Chicken Tenders Platter, Double Crunch Shrimp, Fiesta Lime Chicken, Oriental Grilled Chicken Salad, Oriental Chicken Salad and Three-Cheese Chicken Penne. Dine-in only. Nov. 11. 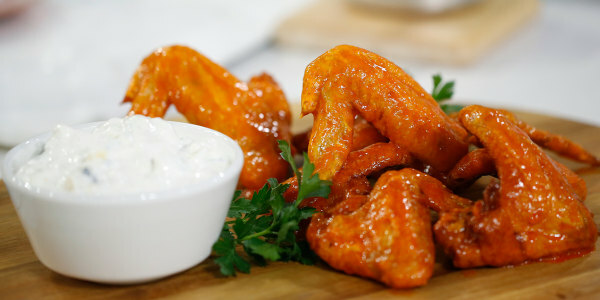 The hot wing chain is offering up a free order of small traditional or boneless wings and a side of fries. Dine-on only. Nov. 11. Veterans can choose one of seven free dishes including the chain's Chicken Crispers, Margarita Grilled Chicken, Chicken Bacon Ranch Quesadillas, Just Bacon Burger, Oldtimer with Cheese, Cajun Chicken Pasta or a salad with a bowl of chili or soup. Nov. 11. The interstate institution is offering up a free slice of its Double Chocolate Fudge Coca-Cola Cake or a choice of one of its coffee drinks from mochas to lattes. Nov. 11. There's no need to buy anything to get a free doughnut of any flavor at any location. In-store only. Nov. 11. From 11 a.m. to 2 p.m. local time, the pizza chain is giving away a free Hot-N-Ready Lunch Combo that usually costs $5 and includes four slices of DEEP!DEEP! Dish pepperoni pizza and a 20-ounce soda. Just mention the deal at check-out to get the free meal. Nov 11. The seafood chain is giving veterans and active duty military the choice of one free appetizer or dessert. The apps include the restaurant's Sweet Chili Shrimp, Mozzarella Cheesesticks, Parrot Isle Jumbo Coconut Shrimp, Seafood-Stuffed Mushrooms, Lobster and Langostino Pizza and Signature Shrimp Cocktail. Those with a sweet tooth can choose from the Vanilla Bean Cheesecake, Key Lime Pie, Warm Apple Crostada, Chocolate Wave or Brownie Overboard. Nov. 11-12. America's heroes can indulge in a free Red's Tavern Double Burger with Bottomless Steak Fries. They've more than earned this hearty meal, after all. Dine-in only. Nov. 11.